Listen to "Season of Storms" on your iOS and Android device. Great book. Good Narrator. Strongly recommend for Fantasy readers. Anither pretty good book with another great narration job. This book was a tad shorter than his previous books, but wasn’t drawn out with extraneous details either. This book takes place somewhere between The Last Wish and Sword of Destiny or thereabouts - it seems like sone events get jumbled up. 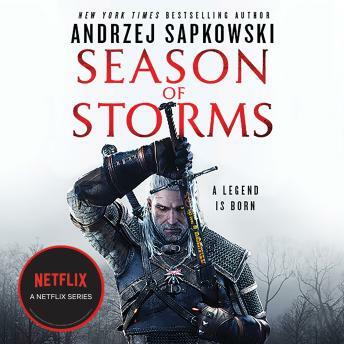 In any case, bad luck falls upon Geralt and he must quest his way out of it with Danelions help. Overall, its a good story, decent action, supplements some events if the other series. I would still read this book last after the other main series however, don’t try to read it first or slip it in after the last wish. Main series, then come back to this one. Peter Kenny does another great as always with his usual cast of voices.